Wolfgang Amadeus Mozart (27 January 1756–5 December 1791) was one of the most influential, popular and prolific composers of the classical period. He composed over 600 works, including some of the most famous and loved pieces of symphonic, chamber, operatic, and choral music. Mozart was born in Salzburg to a musical family. From an early age, the young Mozart showed all the signs of a prodigious musical talent. By the age of five he could read and write music, and he would entertain people with his talents on the keyboard. By the age of six he was writing his first compositions. 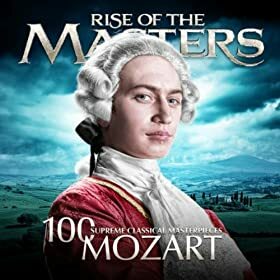 Mozart was generally considered to be a rare musical genius, although he was also diligent in studying other great composers such as Haydn and Bach. During his childhood, he would frequently tour various palaces around Europe playing for distinguished guests. Aged 17, he accepted a post as a court musician in Salzburg; although this did not suit him very well, the next few years were a time of prolific composition. In 1781, he moved permanently to Vienna where he stayed for the remainder of his life. In Vienna, he became well known and was often in demand as a composer and performer. However, despite his relative fame he struggled to manage his finances and moved between periods of poverty and prosperity. This difficulty was enhanced when, in 1786, Austria was involved in a war which led to lower demand for musicians. In 1782, he married against the wishes of his family; he had six children but only two survived infancy. The work of Mozart is epic in scope and proportion. There were few branches of music Mozart did not touch. He composed operas, symphonies, concertos, and solo pieces for the piano. His work spanned from joyful light-hearted pieces to powerful, challenging compositions which touched the emotions. In the beginning of his career, Mozart had a powerful ability to learn and remember from the music he heard from others. He was able to incorporate the style and music of people such as Haydn and J.S. Bach. As he matured he developed his very own style and interpretations. 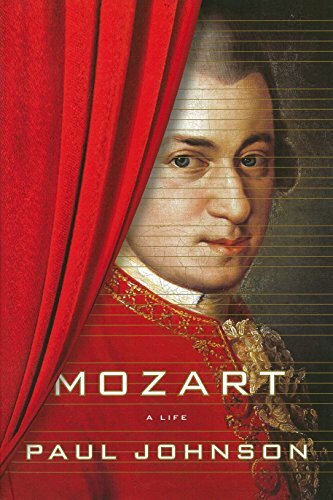 In turn, the music of Mozart very much influenced the early Beethoven. Mozart was brought up a Roman Catholic and remained a member of the church throughout his life. Some of his greatest works are religious in nature such as Ave Verum Corpus and the final Requiem. 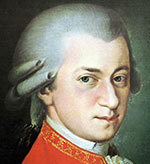 Mozart was very productive until his untimely death in 1791, aged 35. In the last year of his life, he composed the opera The Magic Flute, the final piano concerto (K. 595 in B-flat), the Clarinet Concerto K. 622, a string quintet (K. 614 in E-flat), the famous motet Ave verum corpus K. 618, and the unfinished Requiem K. 626.